Much like the zombies in ‘The Walking Dead’, there are those who feed on negativity and refuse to see the positive side of challenges we face. I HAVE a confession to make. 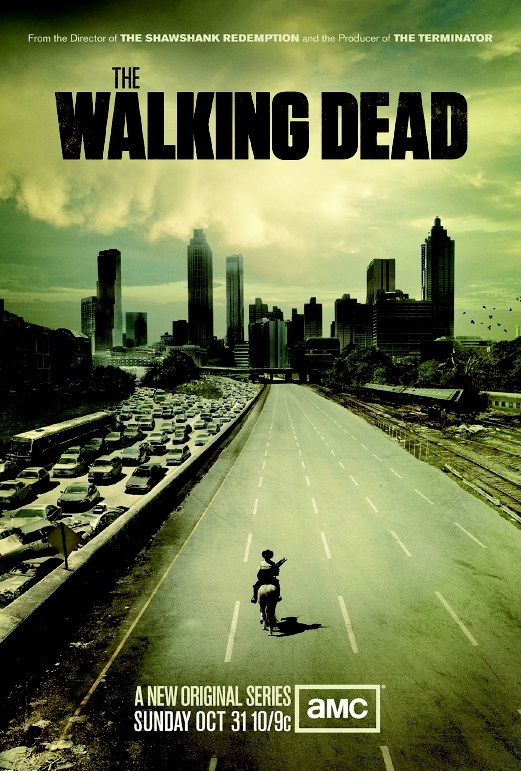 I am an avid fan of what to many is that ridiculous apocalyptic television series The Walking Dead. The series, which has somehow garnered a huge following around the world, is about the predicament of a group of humans in a world afflicted by an unknown plague. Set in America (but of course), the plague turns people who are already dead into zombies, which sole purpose of continued existence thereafter would only be to have a bite at living flesh. In the series, people who have been bitten by zombies, turn into zombies themselves. While shooting, stabbing and clobbering themselves out of the zombies’ way week in and week out, the living humans also have their hands full with having to contend with life’s every other challenge, including rivalry, vengefulness, lust and, most of the time, foolishness. Not to mention the challenges they face in finding food, water, medical and energy supplies. While I was filled with curiosity when the television series first started some two years ago, especially on how the plague came about and whether or not those survivors would find a cure, such curiosity has since disappeared. Since the series is adopted from a still running comic series, it may be a while yet before it ends. Instead, I am more concerned now about who would be bitten and turned into a “walker” (that’s a term for the zombies) next, and also engrossed by watching what humans in such dire situations are capable of. Soon, I decided that those mindless zombies were somewhat better than the conniving humans, who, in some of the episodes, when they were pushed against the wall, thought of nothing to even double cross their own friends to ensure their own survival. Somehow, we like to entertain the thoughts of how all that we have now would end one day. There have been other movies made before the Walking Dead about how humans were facing extinction by all sorts of plagues and disasters. Their story lines were not far-fetched though. Remember, outside of the movie world, we still have not found how that dreaded Ebola epidemic emerged to bring painful deaths to much of Western Africa. Carried by the Ebola virus, the disease has the potential of wiping us out from the face of the earth if we are not vigilant enough. Or, never mind Ebola, for we have been struggling with the dengue virus for quite some time now and still could not make any meaningful breakthrough in getting rid of the menace except knowing that the vector are the seemingly resilient Aedes mosquitoes. Apart from plagues caused by deadly viruses, science has also offered various other ways on how mankind will meet their fate. Tsunamis, for instance, have shown what powerful agent of destruction they can be. The one that devastated much of the Indian Ocean coastline in December 2004 is considered huge by any measure, especially in the large number of lives lost. But, scientists say much larger ones are possible, including one that is still being debated, that of a huge landslide somewhere in the Canary Islands that could send a powerful tsunami racing across the Atlantic to sink much of America’s eastern seaboard. Although a number of geologists say the threat was over hyped, still, a section within the science community say it remains a risk. There are also suggestions of us being one day blown to smithereens by a body from outer space. In fact space observatories around the world are constantly monitoring such bodies as asteroids, meteors and comets, always looking out for a rogue one that may wander into our path. I read somewhere that running into a body just the size of Kuala Lumpur at speeds of thousands of kilometres an hour would be catastrophic enough to wipe out the entire planet. The theory that the mighty dinosaurs went extinct after Earth was hit by an asteroid some 65 million years ago still holds to this day. We still have little knowledge of what actually lies beyond our atmosphere. Even the event that flattened much of the forest in the Tunguska Region in Siberia in June 1908 remains a mystery. What is certain is our fondness of keeping alive discussions of the possibility of such events happening again. We somehow like to imagine our fate as being in a precarious situation. Which brings me to last Monday evening, just after the national oil corporation, Petronas, announced its 2015 profit was cut by half from a year ago amid the weak global oil price. No sooner had the company made the announcement, my electronic mail box was inundated by messages, all of which portrayed doomsday for the Malaysian economy and Malaysia itself. “Experts” popped up suddenly from nowhere, all forecasting the end for Malaysia. The government will run out of money, there will be no development, no projects, no income and we will all face hardship and become poor, most of those who sent me those messages said. Then, as they always do, there are those who blamed the government for failing to take the necessary steps to weather the weak global commodity price environment. I don’t know where they got the idea from that the Malaysian government was to be blamed for the weak oil price on the international markets. Petronas has been one of the most, if not the most, well-run company in Malaysia. It prospects for, drills and refines oil and sells almost everything related to the commodity. But it does not control oil price. That one is purely market driven. But, like many of us, who, at times feel entertained watching our fellow man being forced to the edge in television series such as the Walking Dead, I suppose the folks who sent me those end-of-the-world toned messages following Petronas’ 2015 results on Monday evening also revel in painting the doomsday scenario for Malaysia, perhaps with that “I told you so” smirk. At least one of them did so from the comfort of a chair in one of the many gourmet coffee joints in Bangsar. I told him that Petronas, the Malaysian economy and Malaysia will survive this one. We have survived worse before. And I also told him, however, that one sure way we will perish would be if people like him continue to waste hours upon hours of their time at the coffee joints.